Video studio: Report live on breaking news for U-View or assist in the taping of show for a local TV station. Radio studio: Broadcast live on WPPJ or run a podcast for local media professionals or a national show. Photo studio: Create artistic portraits in an ideal space, equipped with ceiling grids and the latest lighting technology. Multimedia newsroom: Collaborate with fellow journalists, writers, photographers, graphic designers, social media strategists and web developers to tell your story. Presentation and gallery space: Showcase your creative work and view the work of others, including notable visiting artists. 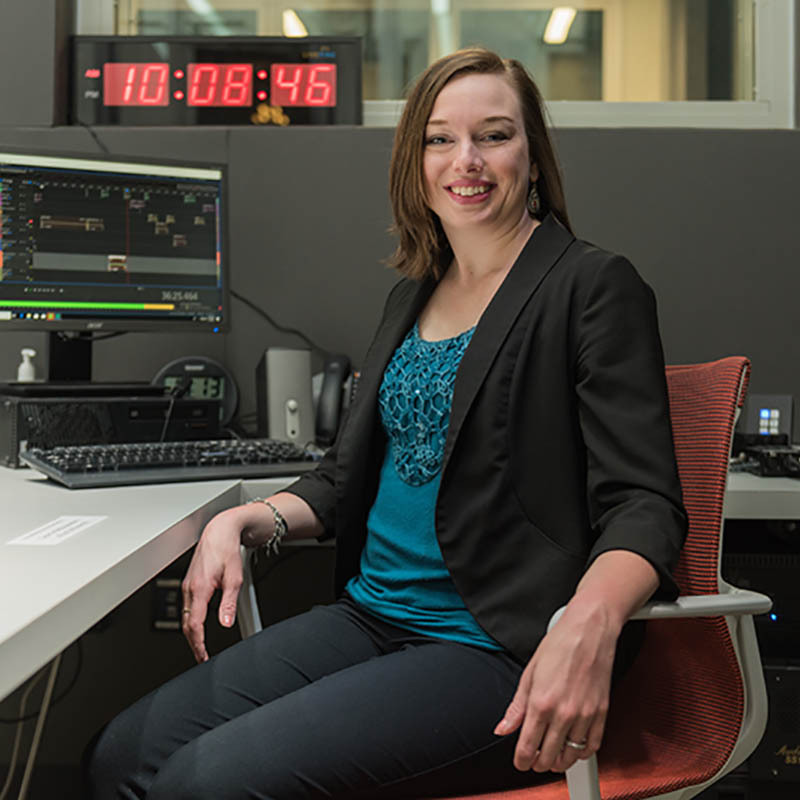 "Students can use the Center for Media Innovation's studios to bring their ideas to life. Several students have also used the versatile space for special events and as a place to exhibit their work." - Ashley Murray, M.A. Tuesday, November 6, 2018 The 2019 Media Innovators Speaker Series at Point Park University welcomes journalists from National Public Radio and New York Times Magazine. A joint project in McKeesport is emboldening young people to tell their own stories in a city where traditional media no longer exists. The McKeesport Media Oasis Project is a partnership between the Center for Media Innovation and the Youth CAST (Community and Schools Together) Leadership Network, with a grant from the Pittsburgh Foundation. 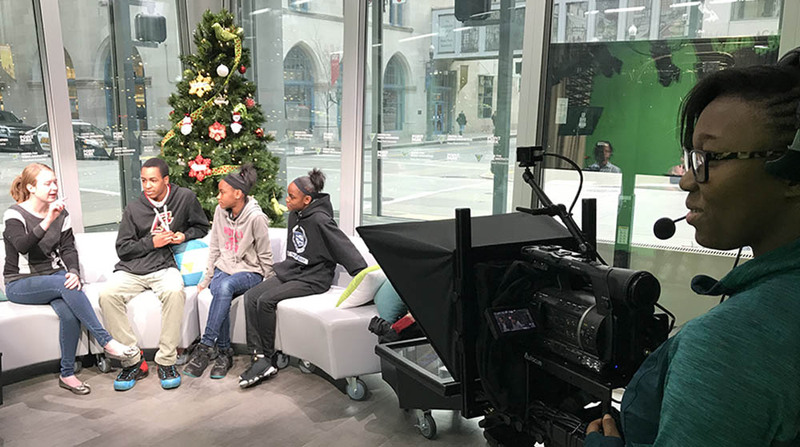 “This is a one-of-a-kind project here in Allegheny County, and the youth of McKeesport will not only tell their stories but also gain the skills and techniques necessary to report the news in their communities,” said Keino Fitzpatrick, founder of the Youth CAST Leadership Network. Students from sixth to 12th grades received training throughout the summer from Matt Petras, a journalism tutor at Point Park. Petras presented lessons in interviewing, how to structure stories, photography and video and other areas. The students interviewed community members for their stories, which included a written piece, a photo essay or a video. Their projects were highlighted at a special event in the fall. It was the shuttering of the McKeesport Daily News in 2015 that created the media desert for the city. “For the residents of a so-called media desert, it can be challenging to learn about what’s happening in their community,” said CMI Director Andrew Conte. “This project will allow the community to discover the stories and images from the residents’ perspectives. It will not solve the problem of lacking a local newspaper, but it will give the community a voice again.” The project’s concept was accepted for presentation Sept. 30 at the annual conference of the Engagement Scholarship Consortium in Minneapolis. Fitzpatrick and Conte co-presented at the conference. The Pittsburgh City Podcast is a partnership between the Center for Media Innovation and Pittsburgh City Paper. During the fall 2018 semester, local high school students visited the CMI for workshops about the basics of journalism and media literacy, as well as gained hands-on experience in the CMI studios. 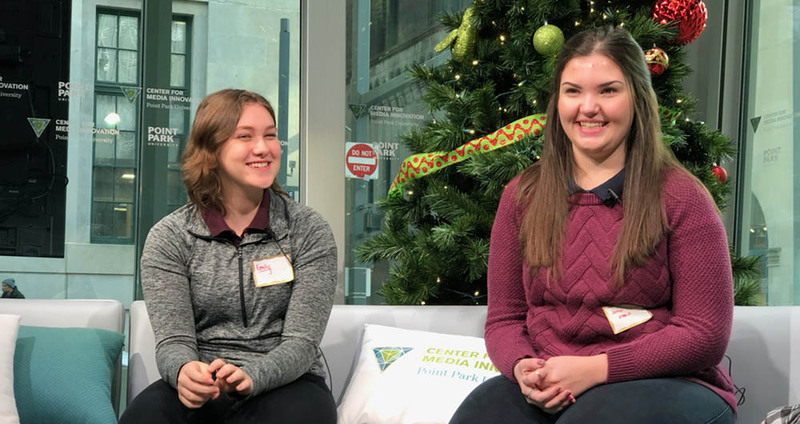 Additionally, students worked with City Paper Editor Lisa Cunningham, radio personality Paul Guggenheimer, and reporter Jorden Snow to record and livestream the Pittsburgh City Podcast. The center also serves as a resource for professional journalists, providing networking opportunities and a working space. Additionally, the center welcomes the public inside to take an active role in media discussions during community events. 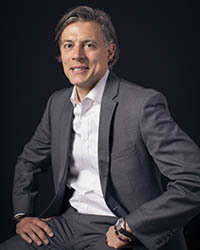 As director of the Center for Media Innovation, Andrew Conte brings with him decades of experience as an award-winning investigative journalist, teacher and writer. His latest column, The Public Editor, is featured on NEXTpittsburgh.